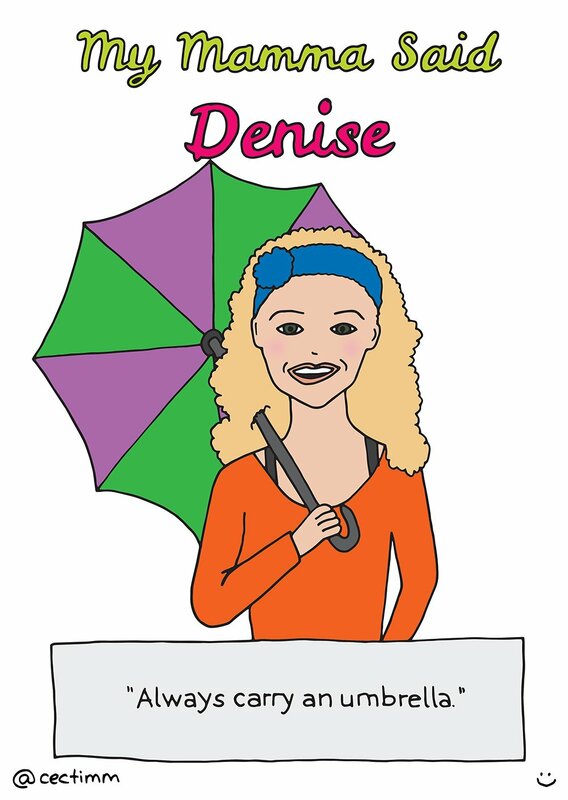 It wasn’t just Rihanna who sung the praises of the humble umbrella… Denise’s mum also held it in high esteem. Perhaps it was because she knew what rain does to curly hair or maybe she didn’t want her girl to catch a cold. Either way, it’s solid advice. I know that if I ever get caught in the rain with Denise, I can always stand under her umbrella ella ella eh eh eh.